R2 Quality Castings offers our customers an unbeatable range of additional services for their precision investment cast products. Whether you’re looking for product-strengthening heat treating services, precision CNC machining services, compositional chemistry testing, non-destructive testing services, or other finishing and testing services, rely on R2 Quality Castings, your top source for the highest quality precision investment casting services. Read through our list of added services below and then contact R2 Quality Castings today for more information on our exceptional precision investment cast product fabrication and production services. The precision investment cast heat treating services offered by R2 Quality Castings are intended to create durable, hardened products capable of standing up to harsh, caustic, and damaging environments. Decades of experience have provided our heat treating specialists with the knowledge necessary for delivering the highest quality heat treating services for your precision investment cast component applications. 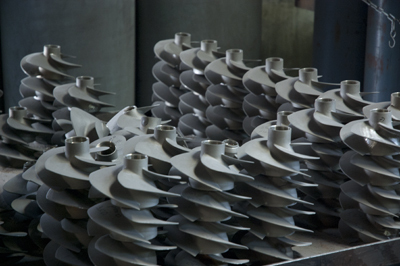 Foundries and product manufacturers rely on investment casting companies to produce high quality tooling for their product fabrication needs. R2 Quality Castings, the top near net shaped investment casters in the industry, possess the capabilities to produce high quality tooling for precision investment cast products. Our investment cast tooling services allow R2 Quality Castings to create exceptional components with great turn-around time and unbeatable product quality. Dependable, well-made fixtures are a vital tool for product assembly and fabrication and allow line workers and manufacturers to quickly, easily, and safely assembly products. R2 Quality Castings fabricates precision investment cast fixtures for a wide variety of industries and applications. Whether you’re in need of a fixture for product assembly or a custom designed and built fixture for jig grinding, rely on R2 Quality Castings. Many precision investment casting companies don’t offer final product detailing services, requiring their customers to shop around to various machining and detailing shops. R2 Quality Castings isn’t like the competition; we offer top quality access to the best CNC machining services for our precision investment cast products. From boring and facing to pinholes, setscrew holes, and keyway drilling services, our machining specialists will create the vital features for your precision investment cast products. R2 Quality Castings offers excellent finishing and polishing services for our precision investment cast components. As different industries and applications require different levels of polishing and finishing, R2 Quality Castings offers roto-dull finishing and polished finishes using #40 grit, dairy buff (#4 finish), and mirror buff (#8 finish). Our expert precision investment casters pair our polishing and finishing services with our quality verification testing methods, ensuring your finished product is ready for use upon arrival. A vital aspect of approving a final product is the utilization of non-destructive testing techniques, also known as NDT. Investment cast components have to be of the highest quality upon leaving the factory. R2 Quality Castings offers a wide range of non-invasive testing methods, including radiographic examination, Zyglo magnetic particle inspection, hardness testing, dye penetrant inspection, and leak testing for chambered cast products. Rely on the precise and thorough NDT testing services for all your investment cast components from R2 Quality Castings. An important aspect of high quality precision investment cast components is their specific chemical composition. R2 Quality Castings provides chemistry testing and certification for our precision investment cast products, ensuring they meet the specifications and compositional requirements of our customers. Our chemistry certification testing services include elemental testing and evaluation and physical property testing, including elongation and tensile yield. 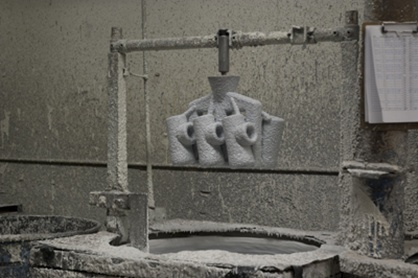 The precision investment casting specialists at R2 Quality Castings utilize decades of experience to provide our customers with the best rapid prototyping and parts design services available in today’s market. Thanks to our vast casting material selection, manufacturing and production capabilities, and our complete commitment to customer satisfaction, clients can depend on R2 Quality Castings for all their precision investment cast prototype design and development needs.